The adventures of inventor and Avenger Tony Stark take a turn for the extraordinary as his ESP-empowered fiancà©e, Marianne Rodgers, is tormented by visions of Iron Man's death. 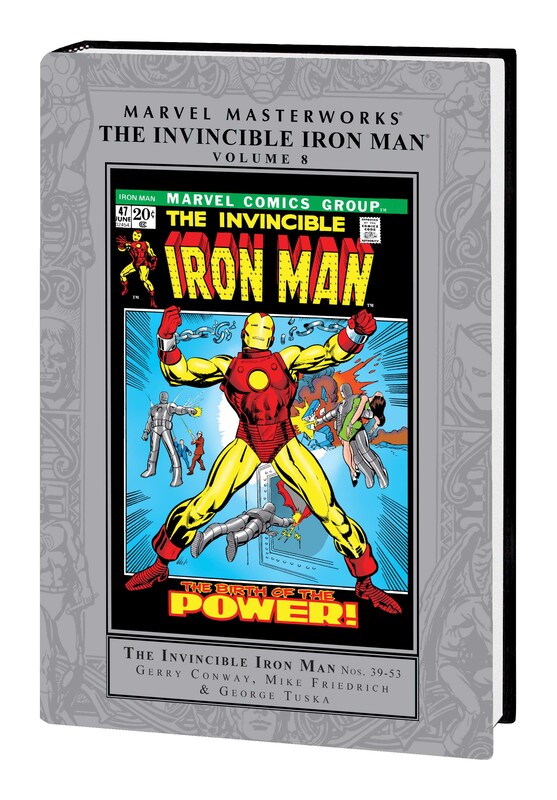 Joined by the Guardsman, Iron Man faces a host of enemies as each hero's abilities are pushed to their limits - with tragic consequences. 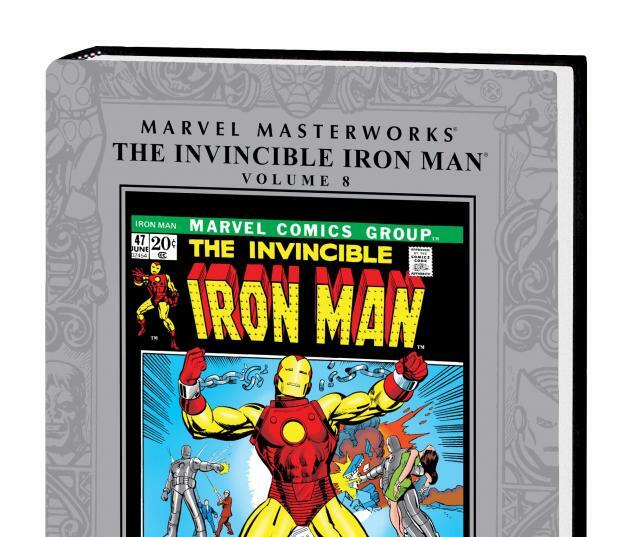 As if that wasn't drama enough, the Board of Directors vies to force Tony from his own company; protesters riot at the gates; and Firebrand, the Super-Adaptoid and the Cyborg-Sinister strive to make Iron Man's death a reality. 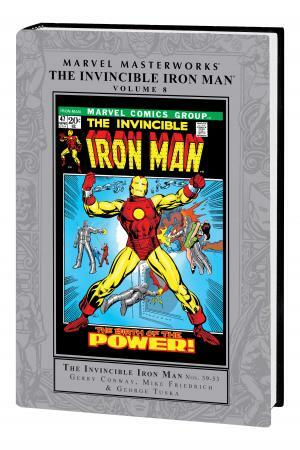 Also featuring Roy Thomas and Barry Windsor-Smith's stunning retelling of Iron Man's origin, this volume is a Masterworks must for every Iron Man fan. Collecting IRON MAN (1968) #39-53.